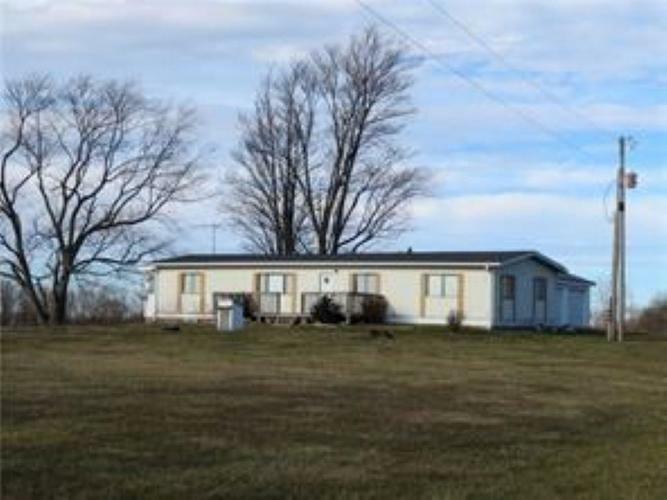 Property is improved with a Manufactured Home that was constructed in 1977 on a crawl space foundation, small storm cellar, attached breezeway and garage. The Manufacturers' Tag is present in the dwelling but cannot be verified. Manufacturers' Tags were not Registered until 1978, therefore, since this information cannot be verified financing is not available. This site would be a great building site with mature trees, existing well and garage. Great location with a wonderful view. Live in this temporary housing until the new one is constructed. Seller will consider cash only...AS IS. Directions:From Jamestown west on E State Road 234 to home on north side of road.